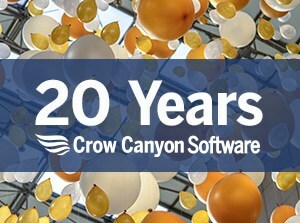 SharePoint Fest Seattle begins in less than a week and Crow Canyon Software is excited to be participating as a Gold Sponsor. SharePoint Fests bring together renowned SharePoint and Office 365 experts to direct a lineup of sessions and workshops, as well as provide endless opportunities for networking. The event takes place August 20 through August 24 at the Washington State Convention Center in downtown Seattle. Crow Canyon will be at booth 401 in the expo hall August 22, 23, and 24, where attendees can find out more about Crow Canyon’s robust and popular SharePoint and Office 365 applications including our latest product NITRO Studio™. These applications turn SharePoint and Office 365 into powerful business automation platforms, streamlining operations and driving productivity at organizations worldwide. These applications include IT Help Desk, Customer Service, Employee Services, Asset Management, HR, Facilities, Marketing, Purchasing, and others, as well as custom development projects. SharePoint Fest Seattle begins on August 20th with two days of pre-conference workshops, followed by a three-day conference (August 22 – 24) with over 100 sessions. Crow Canyon Software, with offices in California, Rhode Island, and India, provides a portfolio of powerful SharePoint and Office 365 applications that help organizations around the world dramatically improve their business processes. Solutions include IT Help Desk Support, Customer Service Requests, Facilities Maintenance and Asset Tracking, among others. Crow Canyon has also recently released its NITRO Studio™ application creation platform for Office 365, which gives power users to ability to rapidly build applications for their organizations.